The Fishtown Recreation Center is located at 1202 E Montgomery Ave. The ailing Fishtown Recreation Center is in line for a major boost from the city's Rebuild program. For the past few years, the rec center's public swimming pool, the Swimmo, has remained closed during summertime due to severe leaks and structural issues. Other features of the outdoor facilities have also fallen into disrepair over the years. The Rebuild program, largely funded through Philadelphia's soda tax, will help rehabilitate the recreation center over the coming year, officials said Monday. Rebuild will commit $368,000 needed to fully fund new outdoor recreational improvements, including a reconstruction of the pool, repairs to the hockey rink roof, a new basketball court and new playground equipment. 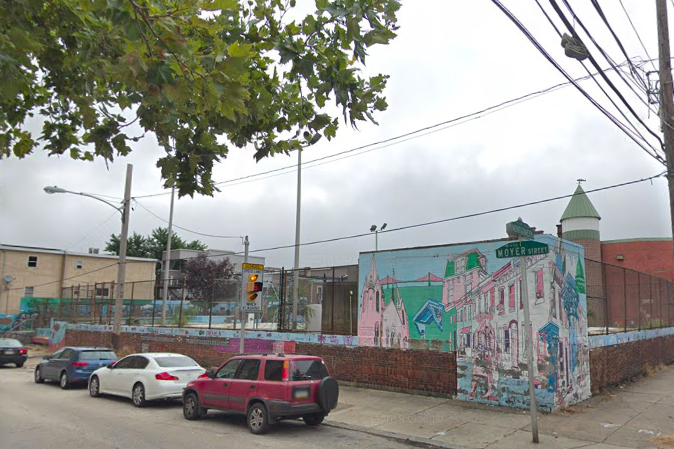 The multimillion project also will receive funding from the office of City Council President Darrell Clark, Philadelphia Parks & Recreation, The Trust for Public Land, and the Pennsylvania Department of Natural Resources. Construction on the new playground will begin this week, while the remainder of the projects will get underway later this summer or early spring. There's no timeline in place yet for the reopening of the pool, which is not expected to happen this summer.